Valentine’s Day, 'Galentines' Day, just another day. Whatever February 14 means to you, there’s plenty to do in the Adelaide Hills whether you’re after romance, nature, indulgence or something to do as a group. No matter if you’re celebrating on the day, revelling in the romance of a romantic weekend away, not celebrating at all and just looking for something fun to do we’ve got you covered! 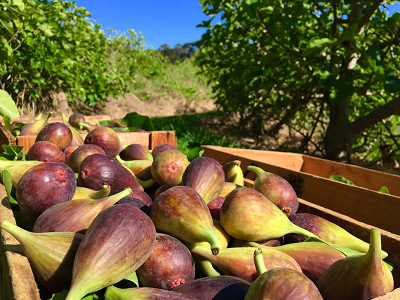 With fig season short and sweet, take advantage of the first week of the season at Glen Ewin Estate in Houghton in the northern Adelaide Hills. Picnic in the tranquil surrounds of the orchard at twilight, enjoy all you can eat figs and a bottle of bubbly to share! Pre-order your own gourmet hamper and bottle of champagne and BYO picnic rug for a unique evening out in the Adelaide Hills. Get the girls (or guys) together for a fun small group outing at this beautiful cellar bar in the main street of Hahndorf. With options like 2-hour Art and Wine, Cooking and Wine, or Coffee and Wine classes you can’t go wrong! The Somerled team will introduce you to their sparkling, and with glass in hand take you a short walk up or down the main street to your next destination. 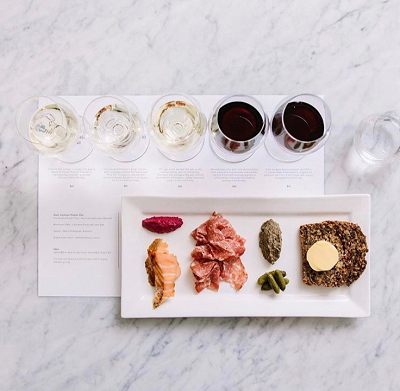 Finish the class back at the Somerled Cellar Bar with hearty Spanish platters and a hosted tasting tour through their outstanding table wine. Visit Somerled Cellar Bar for all the details. Save this one for Friday night and enjoy the full dessert bar experience at Red Cacao in Stirling. 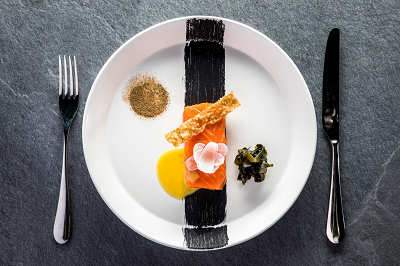 Enjoy sensationally plated desserts by fine Adelaide Hills chocolatier, Marcus Booth-Remmers. 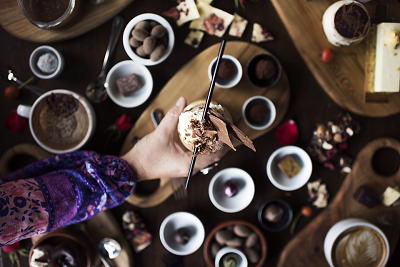 Delight in a shared dessert platter, sample truffles made from the finest Belgian chocolate, or let the expert staff guide you through their range of organic and single origin coffees perfectly matched by the chocolatier. All in the romantic candlelit surrounds of this beautiful chocolate café in the Adelaide Hills. As a special treat just on Valentine's Day, the Mount Lofty Botanic Garden in Crafers has extended their opening hours until 8pm. Watch the sun set in these magic surrounds as you stroll around the lake and discover secluded valleys and glades. 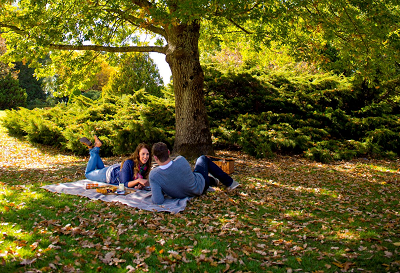 Bring a picnic and relax in the tranquility of this cool-climate Eden in the Adelaide Hills' Piccadilly Valley. Treat your loved one to a dining experience they’ll never forget! 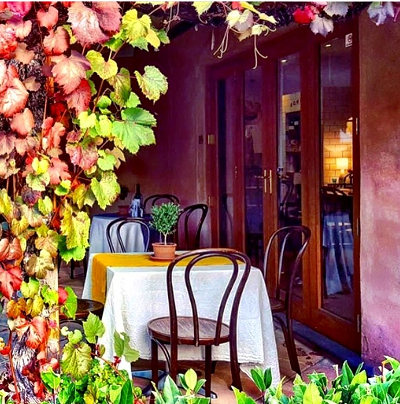 Located at Mount Lofty House in Crafers overlooking the picturesque patchwork Piccadilly Valley in the Adelaide Hills, Hardy’s Verandah Restaurant offers a variety of a la carte and degustation dining options for lunch and dinner. With head chef Jin Choi at the helm, you’ll be treated to a menu crafted from plentiful produce harvested on the property that showcases everything our beautiful Adelaide Hills is renowned for. For a truly indulgent experience, stay overnight at Mount Lofty House and treat yourselves to the magnificent spa treatments available at Stables Day Spa. Bookings essential. Visit Hardy’s Verandah Restaurant for all the details. With so much to see and do when you visit the Adelaide Hills, we had to sneak a few extras in. Romance or not, keep them on your radar for any weekend in this beautiful region. Bond over a selection of small batch, hand bottled gin at the new Ambleside Distillers tasting bar in Hahndorf, go to cheese heaven at Udder Delights on Hahndorf's main street or make your own with artisan cheese maker Kris Lloyd at Woodside Cheese Wrights. For the wine and vine lovers try the limited release tasting flight at Shaw + Smith in Balhannah including five rare and limited aged releases accompanied by a South Australian artisan produce plate, or lunch and tastings at Howard Vineyard in Nairne, Pike & Joyce in Lenswood and Maximilian's (home of Sidewood Estate cellar door) in Verdun.